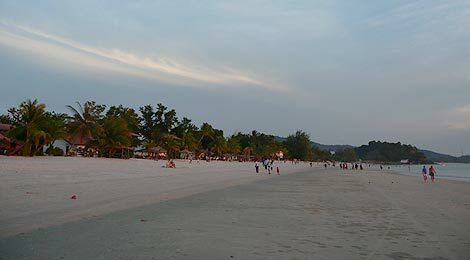 This wide and long beach is the most popular beach on the island and the center of Langkawi's tourism infrastructure. 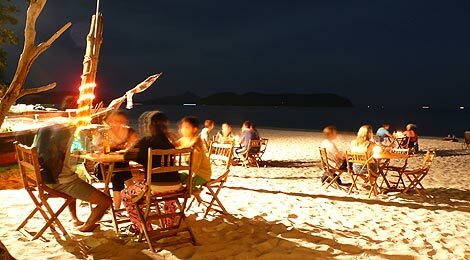 It is a lively place also at night with various bars and restaurants. Despite being the most popular beach on the island with the densest infrastructure, it’s still quiet and laid back. The beach is quite long and wide so things spread out. 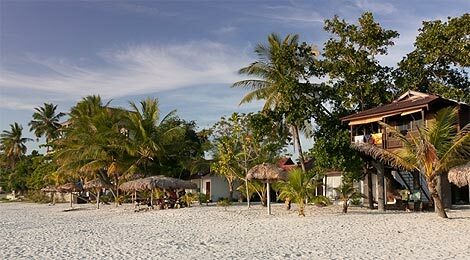 Along Jalan Pantai Cenang, which runs parellel along the beach, you find all the facilities and services you possibly need on your holiday (restaurants, access to resorts, laundry services, motorbike rental, island tours, water sports etc. 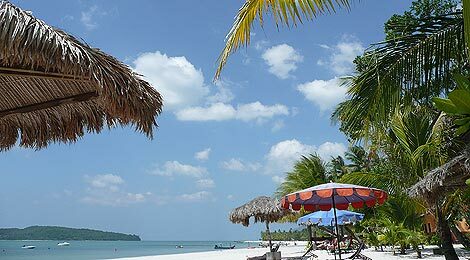 or to get tickets to scuba diving and snorkeling around Pulau Payar Marine Park). Accommodations are located on both sides of the road. 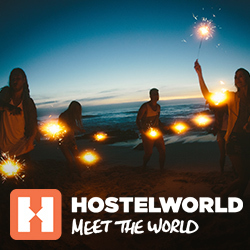 On the beach side you can find resorts and bungalows with beach views while on the other side on the road you can find more budget (backpacker) friendly accommodation with lower prices. 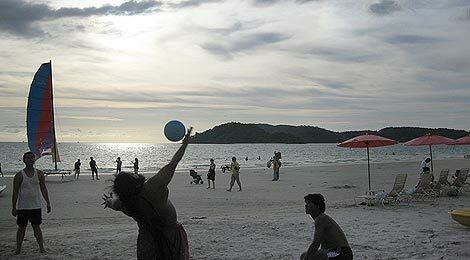 So for backpackers, Cenang Beach is the place to stay on Langkawi. 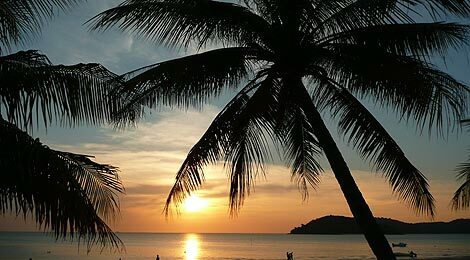 Pantai Cenang or Cenang Beach ("pantai" means "beach" in Malay) is located at the west of Langkawi, about 25km from Kuah where the ferries from the mainland arrive. 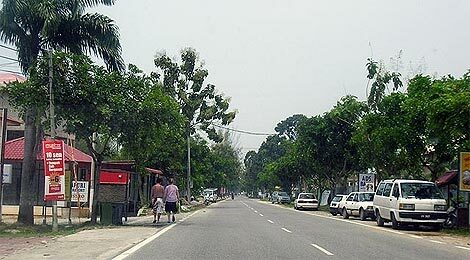 It takes about half one hour to get to Pantai Cenang from Kuah (taxi price: around RM24). A taxi from the airport (located to the north of Pantai Cenang) costs around RM18.